Lizard Facts | Cool Kid Facts . Lizards are part of the reptile family. Reptiles are known for being cold-blooded and for having a backbone. They have scaly, dry skin and they usually lay soft-shelled eggs. Lizards can be found in many different places and they all have unique things that make them stand out. Read on to find out more about these awesome creatures. 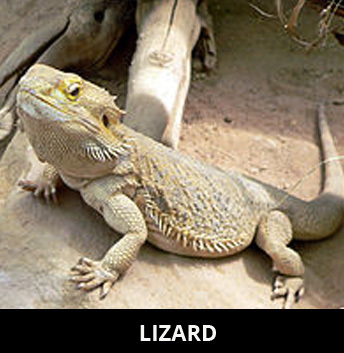 There are many different kinds of lizards. Some are small enough to fit in the palm of your hand, and others are huge and look closer to something that would live with the dinosaurs! 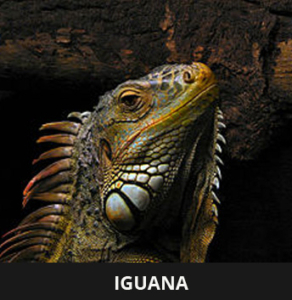 Some of the most well-known types of lizards are iguanas, geckos, chameleons, and the Komodo dragon. Each of these lizards belong to the same family, but they all have their differences! Geckos have no eyelids and they have special toes which help them to be excellent climbers. Chameleons often have the ability to change color, which helps them to talk with each other or to hide from danger. They have unique eyes which can move in two different directions- that would help us when we want to watch TV and do homework at the same time! Lizards live in different places all over the world. They are cold-blooded and this means that their body temperature is the same as the environment around them. Because they can’t control their body temperature, they usually live in warm places, such as the tropics or the deserts. Most lizards like to live close to the ground, and hide underneath rocks or in underground tunnels they dig. You might even see them sitting on a rock or log, soaking up the sun to get warm. It’s a good thing they don’t need sunscreen! What do lizards like to eat? 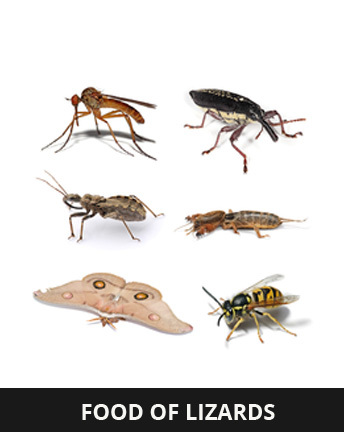 Most kinds of lizards, such as geckos and iguanas, eat insects. Lizards usually aren’t too picky when it comes to the bugs they like to munch on, and they will be happy with flies and crickets. Chameleons, on the other hand, only like to eat plants, which makes them herbivores. They like to climb high up into trees and eat the berries, fruits, and leaves that grow there. The Komodo dragon, which can grow up to 10 feet long and weigh over 300 pounds, is a carnivore, which means that it eats meat. Komodo dragons are usually pretty ferocious and they like to hunt animals that are very big in size. They have a special kind of bacteria in their saliva that paralyzes their prey after they bite them. Komodo dragons like to hunt animals such as deer, pigs, and water buffalo. While most lizards are harmless to humans and do not cause a threat, there are a few that are poisonous or are extremely dangerous and should be avoided. The Gila monster, who lives in Nevada, Utah, and parts of Mexico, is one of the poisonous lizards. It preys on small mammals, birds, and eggs, and uses its sharp teeth and powerful jaws to do so. It also lets out a venom when it bites and this goes into the animal. While Gila monster bites are extremely rare, it is best to stay far away from them! The Komodo dragon has a poison in its spit which it releases into its prey that paralyzes it, or makes it so the animal can’t move. This poisonous saliva plays a role in killing the animal that it has hunted. Lizards can be found all over the world and they play an important part in different ecosystems. Some lizards are kept as pets, like geckos and iguanas, while others should be kept far, far away from humans, like the Komodo dragon and the Gila monster! All of the lizards have unique things that make them special, and they should all be admired and kept safe.